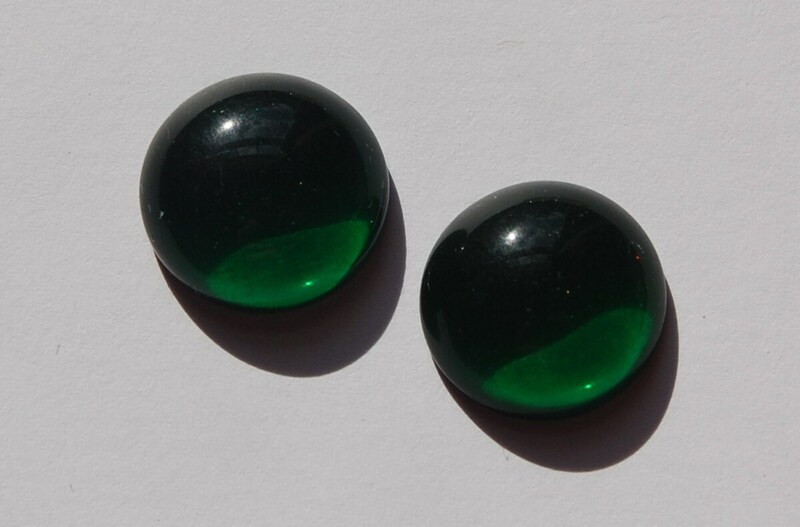 These are vintage emerald green glass cabochons. These round cabochons have a domed top and a flat back. These are not foiled. They measure 18mm. You will receive 2 of these. Beautiful beads and great service. I am very satisfyed of all the process from the moment of the purchase to the moment I received my order (communications, shipping,etc..) and the item received at home was as nice as expected. nThanks a lot.